The Southern Oregon Guild’s Founder and first President, Jerry Work, is a master woodworker whose studio, gallery, and home can be found in the 1907 former Masonic Temple building in historic Kerby, Oregon. 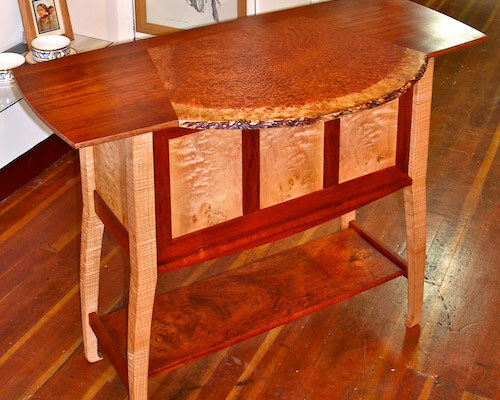 There at his Dovetail Joint, he designs and handcrafts fine furniture, turnings and useful items for the home. He uses the finest domestic hardwoods and burls sourced locally, and from certified plantation grown exotic woods from around the world.